This week is a chance to host a “friendsgiving” or catch up with family–maybe family you haven’t seen since last year. And I want to give you a challenge this year as you head to bake the turkey and gather around the table with some of your closest or distant relatives and friends. Then we move along to discuss the macaroni and cheese. Or politics. Or our favorite Netflix series. So, let’s not take for granted the time we have with our people. I’ve created a set of conversation cards to help you go deeper this year. Now you get to be the one in your family to be a little bold and a little brave and take the conversation away from the food (and politics) and start a conversation that matters. 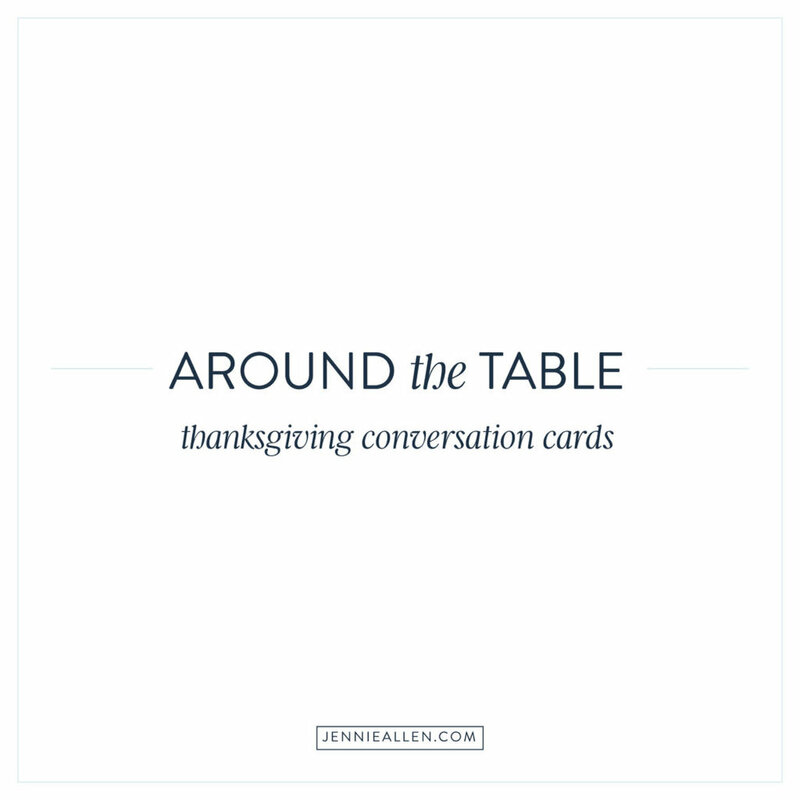 Submit your email below to receive the Thanksgiving Conversation Cards in your email inbox! We never share your email or information! What are your Thanksgiving plans this year? Share in the comments. We’re going to be yelling our heads off at Conner’s playoff football game this weekend and spending Thanksgiving in our new city. I am so grateful for these new places God has brought us in 2017! Praying for you as you spend time with friends and family this week. I am so grateful for this little online village we have here!